The Knights of the Zodiac had a long journey in the world of video games, trying to reproduce the look of the original cartoon from its obscure Japanese games in the 80's to the present titles. Check out how was the graphic evolution of all these games to reach the latest, Knights of the Zodiac: Soul of the Soldiers for PlayStation 4. The first set of Saint Seiya was released for the Nintendo 8-bit and never made it to the West. There you controlled the four bronze riders through phases of action and platform with simple graphics. However, at the time of the fighting against the Golden Knights, the game changed perspective, displaying very detailed images of heroes and enemies. There was also a direct sequel, Saint Seiya: Ogon Densetsu Kanketsu Hen, which kept the graphic style. After a time gone from the world of games, Saint Seiya received a remake of the original two titles Nintendo 8 Bits. The reworked version, called Perfect Edition was released for WonderSwan Color, a portable Japan's exclusive Bandai, as well as the game. The graphics really impressed both outside of battle as within them and is probably the best representation of the characters in 2D. The remake of Saint Seiya brought beautiful graphics for a portable at the time. 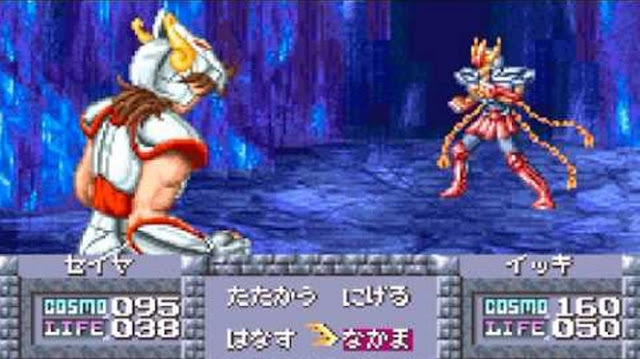 The unusual game typing of Saint Seiya was released the same year to remake WonderSwan. In this game you have to type words and phrases quickly to attack your enemy before being attacked. Though simple, the graphics were pretty static 2D images, in high definition, with some occasional effects of scammers. The armor of the characters were also damaged by the damage. One of the first games of Saint Seiya to be released in the West was also our first chance to see the defenders of Athena in 3D, through the classic saga of the sanctuary. The graphics were well short of the standard of the time, remembering a launch game for the PlayStation 2. The faces at least were well modeled, though a little laminated, and armor shone in a reasonable manner. The sequence of the game struggled a bit in improving the standard of graphics and even succeeded in some directions. To begin with, the special moves of the riders won a lot more detail and impact. The characters have lost some of plasticized appearance and became more natural. 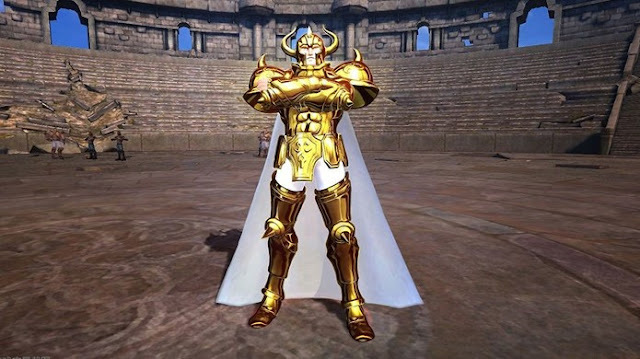 The little-known Saint Seiya MMORPG focused on the Chinese public, one of the genre's consumers had a long process of development and reached present and beautiful graphics at times. Many scenarios are very rich, in the design locations, while others are more generic. The armor on the other hand are well represented and very detailed. When the series jumped to a new generation on the PlayStation 3, you could not see the great graphic improvement that was expected. As in the previous game, the characters are well portrayed, armor seem more loyal than ever, but would not pass as one of the best graphics of the console. On the other hand, the game gained large levels full of fighting against dozens of weaker enemies among the houses of the zodiac. These struggles are very fast and are always full of special effects blows and burning cosmos. The Sanctuary Battle sequence still on the PlayStation 3 took a different direction, focusing only on individual battles between knights, removing phases of fighting against common enemies. This has improved the visual scenarios and characters, but not much. The main difference is that riders are more cartoonized, remembering its most visual of animation and also the manga, thanks to well-placed lines in scams. Just as in the evolution of games for PlayStation 2, the improvements are more evident in the special moves. The latest game of the characters brings the best graphics ever presented to the franchise so far. Among some minor improvements can be noted that the scenarios are much more detailed, with realistic lighting, and the animations of the fighters flowing better than before. The representation of the riders is really perfect, like a cartoon in motion. The cosmos effect is truer than ever and even the reinforcement metal is perfectly reproduced, lighting and reflecting as well as animation.